The European Parliament’s decision to ban palm oil, Malaysia’s biggest export item, is “drastic and discriminatory” and Kuala Lumpur is ready to retaliate with its own trade measures against Europe’s products if the ban takes effect, Malaysia’s Minister Datuk Seri Mah Siew Keong told EURACTIV.com on Tuesday (12 February). One of the potential measures could be a referral of the case to the World Trade Organisation, he said but added Malaysia would first seek to resolve the issue through dialogue. 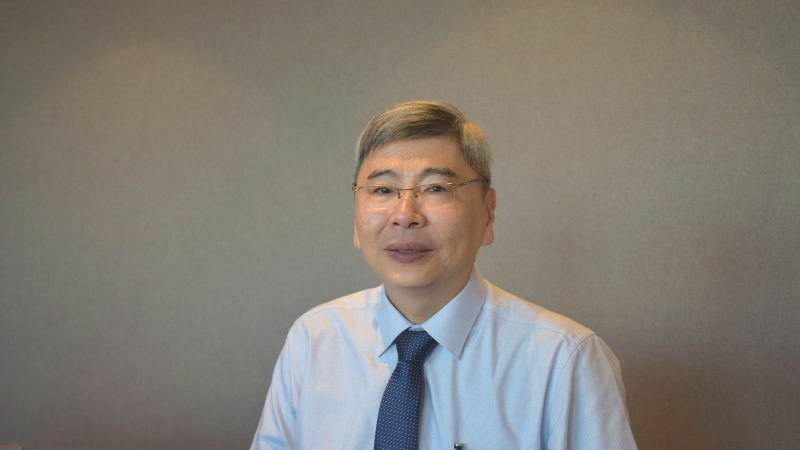 Datuk Seri Mah Siew Keong, Malaysia’s minister of plantation industries and commodities, spoke with EURACTIV’s Sarantis Michalopoulos before meeting European Commission officials in Brussels. The European Parliament has decided to end palm oil by 2021. What will be the impact on Malaysia’s farming community? The impact will be enormous because from the two million tonnes of palm oil we export to Europe, more than 30% is used for biodiesel. We are very disappointed with this vote. Europe’s market for palm oil products from Malaysia is around 2.2 billion euros and the effect will be tremendous. We have always stressed that palm oil is the backbone of our economy, as it’s the biggest export item. Not only the big producers but also the small farmers will be negatively affected. Malaysia has 650,000 small farmers. 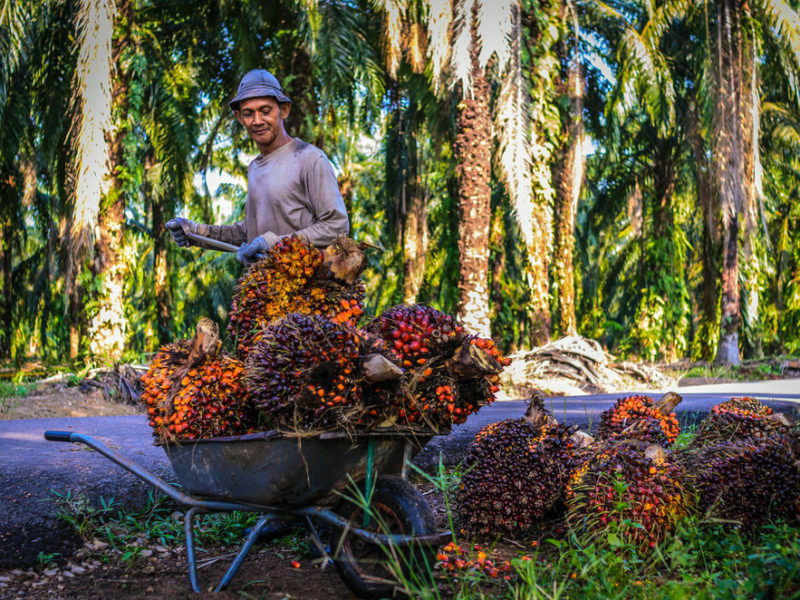 More than 40% of the land the palm oil is cultivated on is run by small farmers, so the perception that only big producers will be affected is not correct. 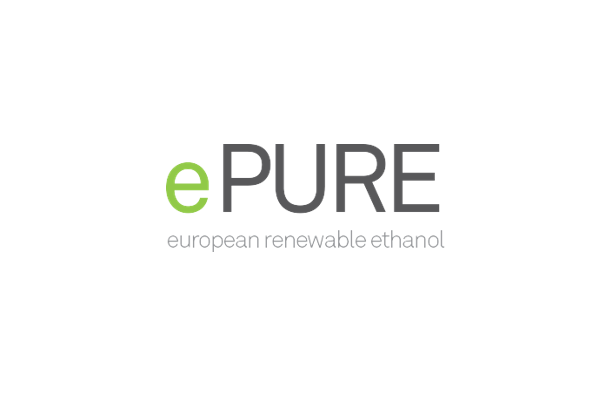 The European Parliament decided today (17 January) to phase-out palm oil by 2021 and cap the crop-based biofuels at the 2017 member states’ consumption levels and no more than 7% of all transport fuels until 2030. What is the feedback that you get from the European Commission? We are meeting Commission officials later in the day. 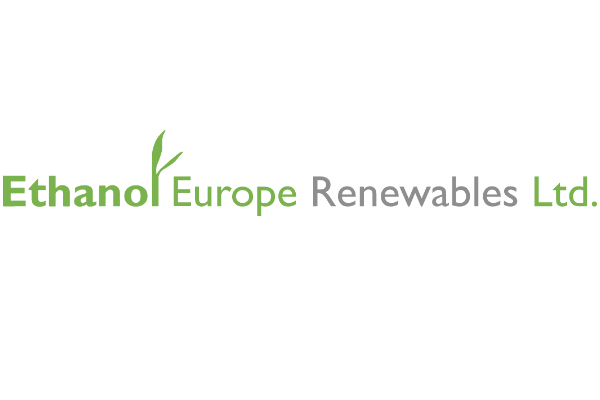 The European Parliament has decided to ban palm biofuels from 2021. This is drastic. The other vegetable oils would be phased out starting in 2030, a difference of 9 years. 2021 is not far from today. And obviously, our farmers are very worried about how we will make this adaptation in such a short period. I’ve discussed with the Commission, this is not equal treatment and we believe this is blatant discrimination. Are you in collaboration with other countries in the region to jointly refer the case to the World Trade Organisation (WTO)? We are working closely with Indonesia for instance. I have also talked to my Thai colleagues, other Asian and African countries as well as Latin America countries like Colombia. We will refer the case to the WTO if Europe forces us to do so. What is next on a trade level? According to press reports in your country, you are mulling punitive trade measures. Malaysia and the EU are in discussion for a free trade agreement and palm oil will definitely be on the top of the agenda. Trade is a two-way process. If Europe discriminates our biggest export item we will definitely take action if needed. I hope this will not be the case. I hope fairness will prevail and I was told this is not the final decision. But honestly, if Europe implements this discriminatory act, then Malaysia will have to retaliate against goods from Europe. Do you have a ready plan for specific products? We have huge and various imports from Europe and we are looking at it. Is it true that you are looking at the EU wine? Wine is very popular but it’s a very small amount exported to Malaysia. We are not currently looking at specific products because the EU Parliament decision was only last month. And it shocked us. What about the EU governments? Have you contacted them? We have talked to a number of EU member states on an individual basis and so far the response has been good as we explained to them the various effects. We cannot understand why there is a need to discriminate against palm oil. 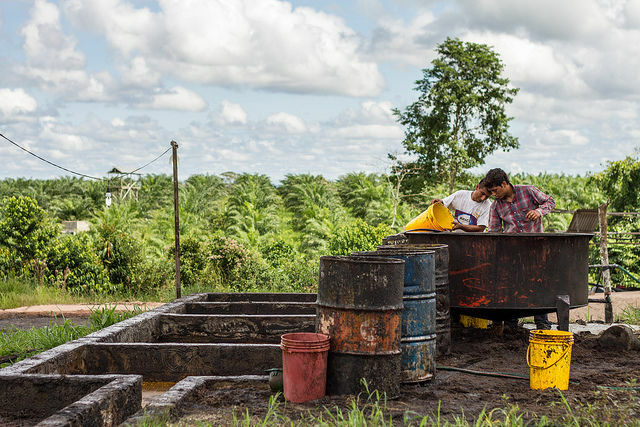 I think we have conveyed our message and we will keep on doing that: how palm oil affects the livelihood of small farmers and the decision by Europe will lead to increased poverty and a retreat from the United Nations Sustainable Development Goals. Right after the EU Parliament decision, nearly 350,000 farmers signed a petition and took to the streets of Kuala Lumpur, urging the EU not to destroy their lives. On an environmental basis, I think Malaysia has already done a lot to make sure that the cultivation of palm oil does not destroy the environment. We are very strict, we have put in place many rules and laws to ensure that there is no destruction of the forests. In the event the EU demands further sustainability measures to be taken in order to provide you with additional time, are you ready to do that? Yes of course. Last year, we announced the Malaysian Sustainable Palm Oil (MSPO) Certification that we will make it mandatory for everyone in the field including the 650,000 small farmers. It’s not easy; it’s a costly exercise. Small farmers will all have to go through auditing but they are committed to that. We want to work closely with EU countries. We want them to provide guidance because we want to be sustainable as it is important primarily for our country itself. We want to work with Europe to secure the acceptance of the MSPO certification. But let me point out that instead of encouraging Malaysian small farmers and working with Malaysia, the EU Parliament decision is taking the wrong direction and sending the wrong message. Do you believe that this is just the first step for palm oil? Do you fear this ban could gradually be imposed on other products as well, like on food for instance? The basis to ban palm oil is not valid and we think we will face more challenges in the future. The Commission is considering further regulations of palm oil; this will be strongly challenged and could be yet further discrimination and unequal treatment. Palm oil is the most efficient and cost-effective crop in the world. Ten years ago, palm oil had 20-30% of the market share and today it has 60% of the vegetable oils market. 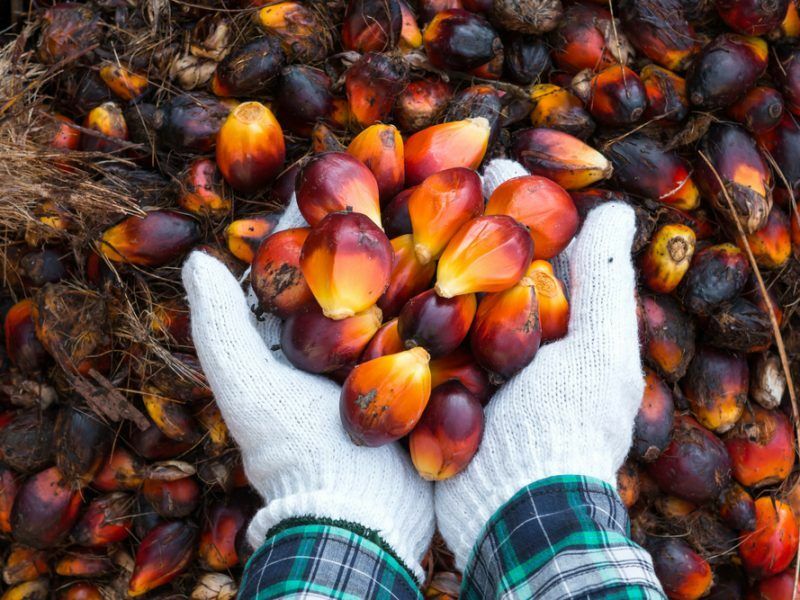 Palm oil has, for instance, vitamin E, vitamin A and it’s a very competitive oil. Due to its leadership in the vegetable oils market, there have always been attempts to bring it down. I think it’s by competing vegetable oils, which feel threatened by the increasing market share of palm oil. We will continue to face this kind of challenges. There is a clash of legitimate self-interests on the part of the EU and Malaysia. On the EU’s part the pursuit of its energy (and environmental) goals of clean non-polluting energy, carbon sinks, biodiversity etc. etc. On Malaysia’s side, in this particular case of phasing out biodiesel from palm oil and pointing to the livelihoods of small-holders. Can there be a compromise or reconciliation of self-interests? On the face No. Will it make it Malaysians happy if the phasing out follows other plant-based/crop-based sources of biodiesel since she asks for equal treatment with other vegetable oils? It must also be very clear to Malaysia that one of the principles of the EU’s agriculture and energy policies is to be as self-sufficient as possible. Hence, favouring the ethanol producers of its own. Is this illegitimate? No. Bearing in mind too the ethanol producers are also saying that this cannot be done “overnight” so to speak. There is still a “R&D” gap to cross so to speak. Well, we have see what compromise Parliament and Council will make. This is the democratic process of the EU. Malaysia and Indonesia can continue to lobby the institutions as in any democracy for their self-interest. Only after both institutions’ compromise that we can speak of a dialogue with Malaysia. In the meantime, Malaysia should already start preparation for its case before the WTO for settlement and to start thinking of which sectors of trade and even investments if it comes to a non-compromise situation and the advent of a trade war. This will keep its civil servants and experts busy for the next months at least. What sectors, the car industry to the benefit of own industry and Asian ones? Solar panels in which Malaysia is the third largest producers? Barriers to inputs into such industries. Belgian chocolates if it is not wine? Is Malaysia a big market for European produced food? Malaysia will have to evaluate for herself what is the cost of a trade war? The EU will suffer but it is a larger economy and more varied trading partners. The larger picture is a wake-up call to Malaysia. It was said that the palm oil industry as the backbone of the economy but how was this arrived at? It goes back to the colonial days of mono-culture starting with rubber but post-colonial Malaya then Malaysia did not diversify away but continued with palm oil. Malaya then Malaysia had achieved a certain level of self-sufficiency in rice but is it today? What happened to all those rice fields? Given away to manufacturing industry, the modern sector of an economy? Palm oil is the cash-cow, profits, way of alleviating poverty. So farmers are enticed, encourage to switch to palm oil, hence the small-holders, with all the consequences of palm oil growing. Biodiesel gave a further boost. What is not often mentioned are the big plantations which include the state-owned ones, the GLCs as called in Malaysia, who are ones capable of biodiesel production not the small-holders including a biodiesel facility in Rotterdam. The irony is that biodiesel is not very promoted in Malaysia itself while turning still to fossil oil of its own or imported. The cash-cow is Europe with its biodiesel requirements. It reinforces mono-culture following where the money, the profits come from. What is Malaysia’s energy policy for the future? Malaysia’s agriculture sector has to diversify away from palm oil. For the small-holders, how are they brought up the value-chain if poverty is to be defeated, if they do not fall back to poverty? Do they simply remain growers of palm oil? This is apart from diversifying to grow other crops. What kind of education, knowledge, skills are brought to them to go up the value-chain? Is this too expensive for government? Palm oil growing cannot be the sole route out of poverty. This is a wake-up call to Malaysia to diversify its agricultural economy and uplift the lives of the rural people, the people who work on the land. Does Malaysia have a lop-sided economy with a continuing urban-rural divide? On sustainability of the palm oil industry through the MSPO, good that something has been achieved but is there a willingness to lift it further to what the EU will demand? This will be the case if Malaysia is willing to work with the EU on this. It must be remembered that the EU has the legitimacy to demand that all imports into the Single Market meet the standards it demands. Malaysia demands too that imports into Malaysia meets its standard as in the case of halal foods. Why should Malaysia complain that the EU demands its own certification? Why must the EU simply accept the MSPO? Malaysia has to diversify its palm oil export markets as she says it will now do. It should have done it a long time ago. Probably Malaysian palm oil will have arrive on EU’s shore through a third country.